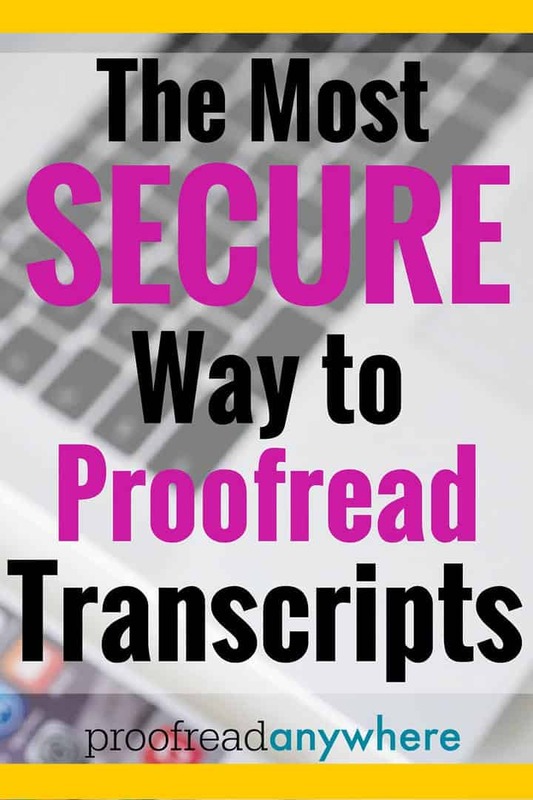 You are here: Home / FAQs / Is proofreading transcripts on an iPad secure? YES! Modern technology has made proofreading transcripts on an iPad extremely secure. We’d venture to say it’s much safer than using a printer and paper — ’cause you can’t password protect that stuff. The added security makes the job of a proofreader much more flexible. There’s no need to worry about losing the job or pages going missing if you take advantage of the security features inherent with the iPad and the annotation app. Not only can you use the iPad’s settings to password-protect your device (some models even have a fingerprint identity sensor, making it virtually impossible for thieves to break into your device), you can also password protect the iAnnotate app itself — so no one can get into your files. 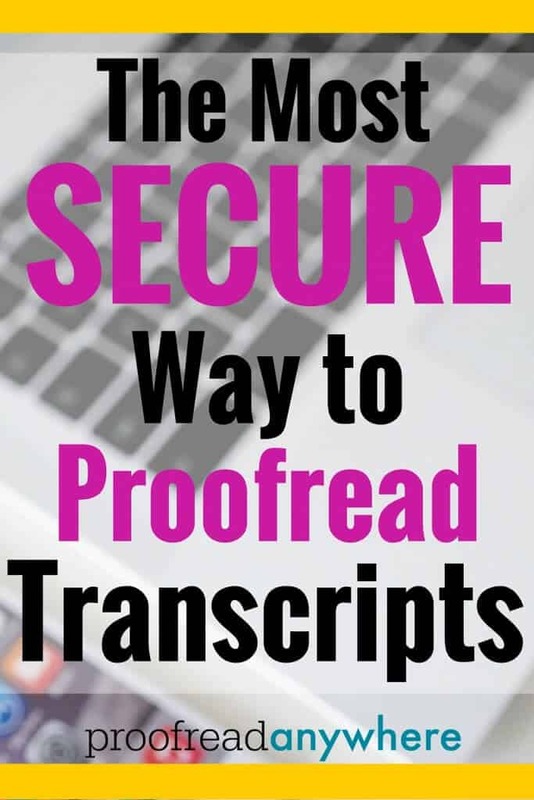 Transcripts are not always part of public record and may contain bits and pieces of sensitive information; therefore, it’s paramount to use a method of proofreading that will keep the content secure. iAnnotate is a fantastic way to do that. Here is a tutorial to show you how to password protect your files within the app. You’ll want to scroll down to the section on “Security”. Court reporters may also choose to password protect the PDFs they send to you. If this is the case, iAnnotate is also equipped to store the passwords for those PDFs. If you’re still worried about people snooping on the transcripts you’re reading, use a privacy protection screen mount for iPad mini (or Air). This screen mount ensures your eyes are the only ones able to see what’s on the screen — the way it should be. RELATED: How Do I Get the First Client? + I HATE MARKETING! Thank you for another great article! This has definitely helped with my queries within IAnnotate. So glad you benefited from this one, Denise 😀 I know it’s been of concern for some court reporters in the past, too. Knowledge is power! Please ignore my earlier request re iPad and my eyesight. Having read further on another of your message walls, I’ve discovered key differences that make the iPad look much more suitable than a ordinary pc. The resolution is superior, the comments on what reporters prefer, and pointing out how an iPad is read more as a tablet than a pc, and of course the best point re speeding up the process have convinced me to use the iPad and get with the latest technology. Of course, my past two years using my Kindle fire also plays a hugh part. I have the 8 inch Kindle and will weigh whether I go with the Air or the mini before finalizing my choice. I continue to find it amazing how much info is on this sight as I prefer to go forward. When is a court transcript not available to the public? How can we determine that and then take the precautions you have mentioned? Recently, I read sections of a transcript that included a patient’s blood pressure readings, which could be under HIPAA regulations. I ordered the transcript of a criminal case, which is where I found the medical data. There was no statement about the information being confidential. It was presented in open court. Is the IPad mini original good for this or did I need to look at 2-4/5?